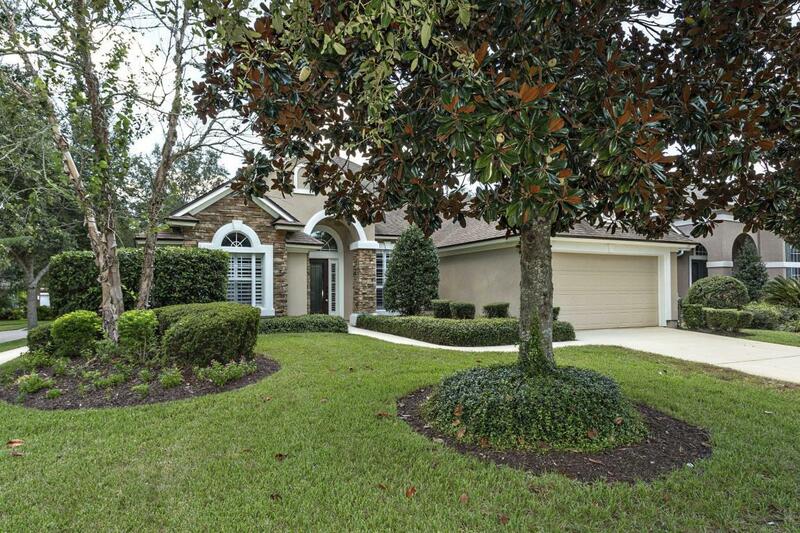 Walk to Palencia Elementary School from this beautiful Palencia Home. Owners have recently renovated this property and it is in move in condition.. You will not be disappointed with all that this home has to offer.. Home features warm hardwood floors, cozy fireplace, updated master bathroom, Plantation Shutters throughout, french doors, and new custom lighting. Kitchen includes 42'' cabinets, granite counter tops with custom backsplash, and new stainless steel appliances. Large back yard is great for entertaining and plenty of room if you want to add a pool... This home will not last long... Schedule your showing before its too late! Listing courtesy of Century 21 Coastal.